More anthro-rats in a post-apocalyptic setting. 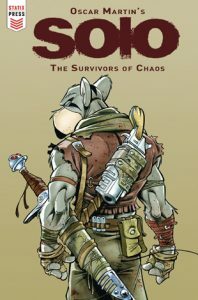 This time it’s Solo: The Survivors of Chaos, new in full-color from Statix Press (an imprint of Titan Comics). “Road warrior, meet rat warrior! The perfect fusion of Zootopia and Mad Max: Fury Road! On an Earth ravaged by nuclear war, an array of mutant animals have repopulated the land. But these survivors of chaos are far from peaceful – when Solo’s family faces starvation, the young rat wanders the cannibal wastes to become a warrior. The Statix Press debut of Oscar Martin, Warner Bros Lifetime Achievement Award-winning writer-artist of Tom & Jerry.” There are preview pages over at News-A-Rama. 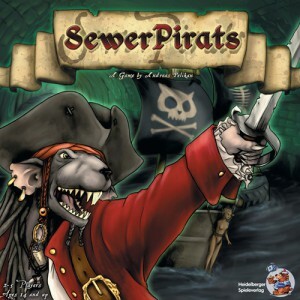 Plus, look for the alternate cover version by Sean Galloway (the illustrator for Pearl of Pandaria). 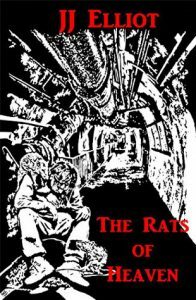 From the publisher, Source Point Press: “It was written in blood by the rat kings, woven in silk by the spider sages, recited in verse by the ancient warlords of the centipedes: The Vermin shall inherit the Earth. 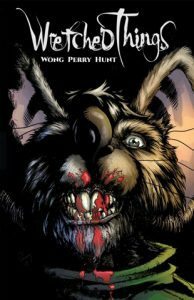 A rich fantasy in the tradition of The Secret of NIMH tells the stories of great heroes who live in the margins of our world.” It’s Wretched Things, a new full-color graphic novel written by David Wong, with art by Ken Perry and John Hunt. Big Comic Page has a review that includes several sample pages. Judge Him By His Size, Do You? This is from a couple of years ago, but we just found it recently at Comic Con in San Diego. 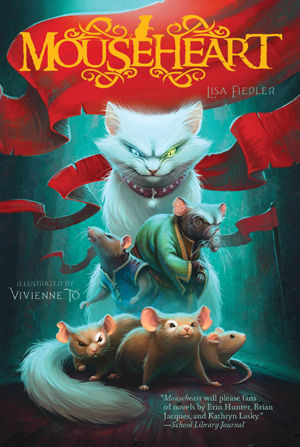 Mouseheart is a fantasy adventure series for young readers, written by Lisa Fiedler and illustrated by Vivienne To. “Hopper is just an ordinary pet-shop mouse—until he escapes. Soon he finds himself below the bustling streets of Brooklyn, deep within the untamed tangles of transit tunnels, and in Atlantia, a glorious utopian rat civilization. But all is not as it seems. Hopper misses Pinkie and Pup, the siblings he lost in the escape attempt. Atlantia is constantly threatened by roving rebels who wish to bring the city to its knees. And there are cats everywhere, cats who would normally eat a rodent in a second, but leave the rats unharmed . . . and no one can seem to answer why. Soon Hopper is caught in the cross-hairs of an epic battle, one that spans generations and species. As the clashes rage, Hopper learns terrible, extraordinary secrets.” Mouseheart was published in 2014 by Margaret K. McElderry Books. Since then there have been two more, Hopper’s Destiny and Return of the Forgotten. There’s lots more at the official Mouseheart web site.